Let me start by saying I don't read as many under-the-radar authors as I should. The majority of authors that I do read have already received a lot of recognition and are known world-wide. So, I am going to highlight a list of authors that you may not have heard of, or you have heard of in passing but have yet to read any of their works. 3. Ella Hepworth Dixon: British Victorian author, check out The Story of the Modern Woman. Congrats on making it to 10! I couldn't even come close. Some good names on here I'll need to check out! LOVE Fun Home! Alison Bechdel is a fantastic writer. 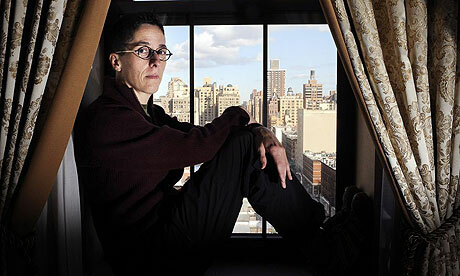 At my other blog, Gender Across Borders, we interviewed her last year--http://www.genderacrossborders.com/2010/02/23/a-conversation-with-alison-bechdel/. I'm unfamiliar with many of these. So you've not only expressed your need to read more, but helped me realize that I should be doing the same. Great list! That's ten I had no idea even existed! Good work! Red, I put some serious thought into this one since its a top ten Tuesday that can actually benefit under-appreciated writers - I had to dig deep into my past reads and I'm happy with the list I made. eatthebooks, Yay for Bechdel! She is fantastic. It sounds like she is working on her next book Love Life: A Case Study, according to Wikipedia. Beth, I know I should really get back to reading some of these lesser known authors that I used to just magically come across. I agree on Malouf and Bechdel, Brenna. And Rich, Larson, and Ahmed will go into my library/Amazon hoppers tonight! Thank you, Brenna, for being so well read! Laurie, Glad you hear you are going to check out those authors! 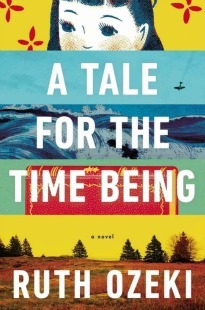 Simon Rich is hilarious, Larson is terrific and Ahmed tells a great story. I've just added A Boarder Passage to my wishlist. Thanks for bringing it to my attention. I have heard of many of these, but haven't read many. I did consider Nella Larsen for my list. Thanks for helping me to expand my neverending wishlist. LBC, I can relate to a never-ending wishlist.